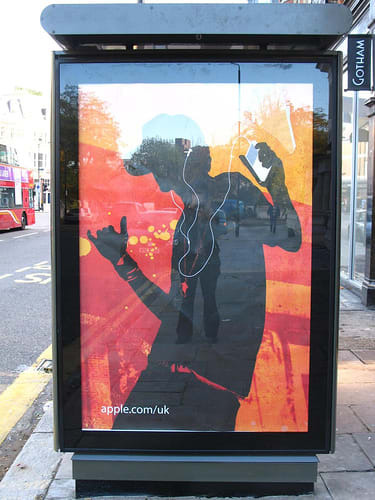 "At first glance this is just a ordinary iPod silhouette ad. If you look closly at the neck you can spot a necklace. Not just any necklace, a Gabriel Urist sneaker chain. Well done Gabe."